What is it in a film that affects you? If it’s true that music gives soul to a movie, then consider Michael Pärt as someone who helps make that happen. The irony lies in the fact that for the audience, the movie should work as a whole. In other words, Michael Pärt’s efforts are fruitful when the audience doesn’t notice it. Nevertheless, this hasn’t stopped the Estonian from making his way to the top of his field during 15 years of professional work. As a music editor and producer, Michael Pärt’s ears are his most precious tool. Composer Richard Harvey (“President’s Death”, “Da Vinci Code”) didn’t take the young studio assistant under his wing for nothing. Right off the bat, it was clear that Pärt’s sensitivity towards sounds outweigh his tea-making abilities. Early internship deepened his understanding of music and the technical side of shaping it. The decision to concentrate on the art of fine tuning came in a natural way; getting the foot in the door was furthered organically by forming friendships. Having lived five minutes from Björk’s house in Iceland, they established a mutual trust needed to work on albums “Volta” (2007) and “Vulnicura” (2015). When Arcade Fire skyrocketed to pop-music stratosphere, it was Michael Pärt they asked to help them with orchestral parts for “Neon Bible” (2007). The five-time Oscar-winning director, Francis Coppola (“Godfather) had the young Pärt edit the music for his movie “Youth Without Youth” (2007) alongside the legendary Walter Murch. Three-time academy award winner Howard Shore chose Michael Pärt to be his trusted ears on the ground in New-Zealand when it came to the making of “The Hobbit. The Unexpected Journey” (2012). 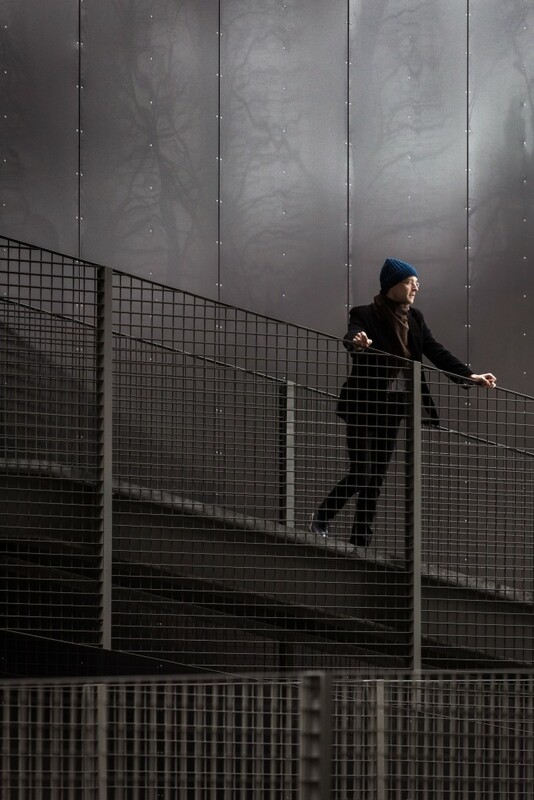 Having grown up in West-Germany, studied in London and lived in Iceland, Pärt moved to Estonia to work on bringing structure to his parents’ heritage in form of the Arvo Pärt Centre. Since October 2014, he’s been hired for a movie called “Tulip Fever” by the renowned film producer, Harvey Weinstein (“Shakespeare in Love”, “Pulp Fiction”). Alongside these, Pärt also finds time to help the efforts of an Estonian movie called “Supilinna Salaselts”. What is it that music editors do in movies? A music editor’s role is to be a functional bridge between the director and the composer. Early stages of a score production require correct music placement, thematic strategy, character discussions for the score. This is followed by preparing the score and producing the recordings, which is, in turn, edited together from different takes. All the way through to the dub where dialogue, effects, atmospheres and the music are mixed together, the film edit keeps shifting, and music needs to be edited to chase the new cut of the film. 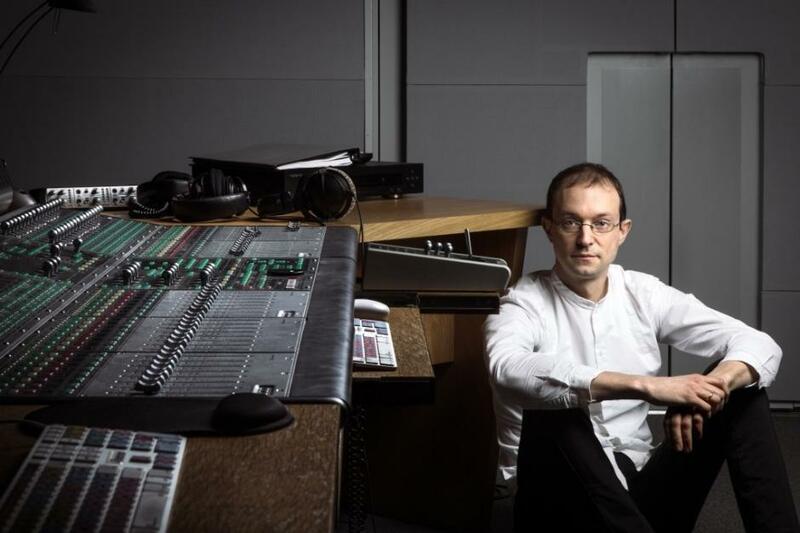 The director may also wish to extend the music, start it earlier or swap some scenes or insert silence – all processes involving the music editor. So on one hand there is the technical aspect, and on the other the human? This is where the link between music and technology comes in. In none of these steps would technology be able to carry the weight on its own. One can be the greatest Pro Tools operator, but if the musical tool – the ear – is missing, then you don’t get far. An example of where the music editors’ job becomes more complicated is with Howard Shore’s use of Leitmotifs (where each character and place have their own themes), used throughout both Tolkien trilogies. This is a trade he has perfected, resulting in a score completely fusing music, characters and script. For example, I couldn’t just use Rivendell-related themes on a Gandalf scene – unless of course he’d remember his good friend Elrond. Howard’s scores are any music theorists’ dream. There are a number of music students these days that are only used to compose through a music sequencer or notation software. People are buying gear, plug-ins and apps but the substance and freedom behind it is what counts. Howard Shore wrote the entire Lord of the Rings trilogy score with about $5sworth of lead pencils. That’s the most expensive music score franchise, worth tens of millions of dollars. If you look at the scale, they’re still in balance – it emphasizes the significance of the $5 dollars worth of carbon. Technology has helped get the enthusiasts and many others onto the bandwagon but an environment of many predefined choices is not necessarily a workflow without its dangers. A few years back when inquired about future goals you expressed that you rather like to set yourself short-term goals; that “you can’t say what you want if you expect the unexpected”. Was getting a call from Howard Shore to work on “The Hobbit” a thing like that? That was unexpected indeed! However, I said that from a principal standing point. At the time (in 2008), I just moved from Iceland to Estonia to set in motion the process of bringing structure to my parents’ heritage– what was later to become the developing of the Arvo Pärt Centre. How and what would come out of it at that time was a complete unknown. And that was the context of this quote. So, when and how did your journey to New Zealand for the production of “The Hobbit” start then? I was working with Howard Shore on a documentary called “The Betrayal – Nerakhoon” in 2008. We thought it would be a great idea to include Estonian Philharmonic Chamber Choir and ERSO. So we did, and we recorded the score here in Tallinn! What was the relationship between Howard Shore and Peter Jackson like? What was your function in that mix? They had already worked through the Lord of the Rings trilogy. I was brought on in order for Howard to have a more direct involvement because he is stationed in New York and Peter in Wellington. I was the person who mediated film footage and its changes, as Peter is “very good” at editing the film on a constant basis. On a film like that, keeping track of data was almost a full time job – what footage was changed, how music was affected by the changes – if these changes were editorially resolvable, or if it was necessary to recompose a cue. All of these and many other details needed to be kept track of. They would have had music review Skype meetings where Howard played new compositions and receiving feedback from Peter about them. So I was sort of the bridge between the director and composer as music and feedback went back and forth. Parallel to your film work you do production for music artists, most recently the second time for Björk on “Vulnicura” (2015). What was your role there? For the last few years Björk has been working on MOMA’s commission, which is part of her album “Vulnicura”, just out. My input there was a similar to Arcade Fire’s “Neon Bible” – Björk wanted assistance with scoring elements for strings. I prepared the score from her arrangement, prepped the string parts, session-produced and supervised the recordings. It’s very symptomatic that during the time where secrets are ending, the album was leaked before release. Even more ironic, that it is a breakup album inspired by most intimate notions. That’s right; it was supposed to be released in March. At the time, I was in touch with her in order to supply some practical details for the CD booklet. I was supposed to get a downloadable copy of the album, but read in the news that the album was leaked online instead the following day. As for the breakup, it is a very courageous step for Björk to lay bare-naked and tell about the emotions through the songs. This is a definition of a true artist. Björk has been diligent in taking on new technologies, having apps involved in her album. How do you relate to that? Björk has put in motion an amazing project. Alongside her previous album “Biophilia” she brought together ten (competing) app development teams to develop ten apps, one for each of the tracks on the album. This is an unprecedented move in app development. Since then, scientists, scholars, artists, teachers and students of all levels have been brought together to develop new ways of teaching children in different disciplines. This project is carried out all through Scandinavia today with the purpose to inspire children to learn and explore through creativity. Currently you are working on a film called “Tulip Fever”. How did this gig come along and what’s your role there? I have an agent in London, Maggie Rodford, who is a music supervisor there. Many Hollywood films with orchestral soundtracks are recorded in London for the great musicians there; this is also the case with “Tulip Fever”. The filmmakers approached me to develop and work on the temp score. It’s like a sample score: using commercial tracks it’s used by the editor, producer and director to get the feel of their film before a composer is hired. How did you pick the tracks for the temp score? 15 years ago I would’ve had to have 5,000 soundtracks on my shelf to do this work. Now I pay my subscription fee for Spotify and go for a trip around the world. However, the royalty aspect for the artists, especially for classical music, is a disaster. Yet I’ve never listened to more music. I used it exclusively for this temp, and my possibilities and mobility have greatly increased. Tell me about the story of “Tulip Fever”, how is working on a Harvey Weinstein project like? It’s a drama about adultery playing in 1630s during the tulip mania of Amsterdam. What is very interesting is that its producer Harvey Weinstein is clearly one of the greatest commercial film producers of today. He feels a certain emotional bond to his films which he doesn’t just let go. He really works on it, makes significant changes and fine tunes them over and over. Together with the director Justin Chadwick (“Mandela”, “The Other Boy and Girl”), they keep exploring deeper and deeper layers of this story…As a director, Justin’s method of working is very much focusing on telling a story and working on the emotion told to great lengths. I believe that this is the basic fabric of film making, and we can see through his previous films how his work leaves a deep impression with a viewer. Who is the composer for Tulip Fever? Danny Elfman is on board, after he just completed his score of “50 Shades Of Grey”. It’s really fun because Danny picks up and bounces back ideas in collaboration with the director overnight! To be a part of that is pure “ear candy”. Danny is currently at the stage of scoring the film, and recording sessions are still yet to come. The audience usually doesn’t separate sound from the movie. As a viewer, you just enjoy the movie without realising that cues of the music suggest emotions. Was Aristotle correct when he said that listening is the sense that gives the world depth? The music really is the soul of movies. When you come out of a cinema, I hope that the audience doesn’t remember the music. The minute they remember the music it is often for the wrong reasons – because of errors in the production. When you come out of the cinema without remembering the score, and you’ll listen to the soundtrack later, than often it takes you right back to the story told on screen. So when we’re hearing a deeper meaning that the score is attempting to portray, then if you don’t know what it is, then that’s almost always a direction towards a better score – and film. Making a movie by using visual effects and CGI to impress and substitute a meaningful base is almost always a failure at the end of the day – even if not financial. That’s where we go back to the original toolset which is to be used correctly: we’re talking about the script, screenplay and casting, rather than CGI, competitive editing methods and sensationalism…If we look at Hollywood today, then it is moving away from having these original tools at the centre. Instead, we see more and more the process of impressing an ever narrowing target group with explosions to viewers who care less for a good story. So indie films as opposed to blockbusters don’t come to this? What are their differences regarding music and overall mindset? In my opinion, the function of music is actually film independent, and music does not need to be an emotional pacifier to fulfil its function. In commercial films there’s quite a liberal use of music. This relates to both the quantity (there is lots of it – we call it “wall-to-wall” music), as well as being musically too resolving. On the art spectrum of film you have much less music, which is also often lacking an element of “sugar-coating”. By increasing the gap between cues the drama is often even more increased – this is an indie tool rather than a blockbuster formula. To add tension by the lack of easily resolving music is a key compositional tool in scores. In Hollywood you would go for a perfect cadence “every time”, and loose ends are “gathered up”, and “off to the next scene”… Yet to create tension at the opening of a film is very significant. You’ve finally got the viewer sitting in the cinema, use the music to slow them dead in their tracks, and start building up the film from there. Not many film producers dare to test the patience of the viewer to the absolute maximum. To ask how far can you over-string this guitar just before the string snaps? Unfortunately, more often than not the music acts as the pacifier needlessly. Would you say then that Hollywood is safe? That they have sort of a formula they are accustomed to? It’s a business. Yes, it’s an art form but also a business and it has a target group. No one says you can’t combine business and art. However, the indie film industry doesn’t live for its commercial viability. Artists in the indie scene, be it cinema or music, are not millionaires, they do it because something moves them to do it. Yet for larger audience, as you increase the tension it decreases the attention. I find it interesting that 90% of “Hollywood followers” wouldn’t last the opening scene of Orson Welles, “A Touch of Evil”, among many others. Coming to the Estonian family movie, “Supilinna Salaselts”, what is the triangle of people you work with there? My function here is to contribute with my experience in score recording. The filmmakers have brought me to their circle of activities in order to just keep a glance over how things progress, and share my methods and knowledge. I’ve met with the sound engineer, producer, director and the composer Liina Kullerkupp. I’m very excited to do this, as it’s a fun film. With experience working on the Hobbit – a movie with a budget of US$200 million, how would you compare it with the upcoming Estonian movie scene? The New Zealand way, as I learned when living there, is to “make it work!”. Peter Jackson didn’t start off with top budgets in his early films when he explored his passion for special effects. I am very impressed with the Kiwi way of bringing a production together, and their methods have clearly helped in the success they have achieved. Peter is also a person with a clear creative direction and it has been a true privilege to see his film making in action up close. I don’t see how things should be much different here in Estonia, if we develop and encourage great talent. The Oscar-nomination for Estonian film “Tangerines” should be encouraging then. What’s the significance of awards in your mind? As far as commercial recognition is concerned, then every spring we have the “awards season” – Berlin, Venice, Golden Globes, Oscars, BAFTAs and others – this is a big marketing machine that brings weight to a distribution deal or a franchise strategy. During this time the creative process often comes to a standstill, and filmmakers embark on a tour through these events. However, if you leave the commercial part aside, then celebrating a talent is a really beautiful thing. It’s a compliment. It’s saying thank you. If it’s possible to do so in a sincere way then that would be great. Still, when it comes to the person who the award is about – the talent – then they can become the face of a strategic agenda, ending up as a puppet on stage. The best way to say thank you is to go out to the cinema and watch the film, Netflix, iTunes, whatever… Don’t torrent. What kind of impact will the Oscar nomination of “Tangerines” bring to the Estonian film industry? It’s the first Estonian movie nominated. So it’s big! Yes, we didn’t win the award but getting nominated is the cake – never mind the icing. The cake is already on the table, and full advantage should be taken of that fact. We should be proud of everyone who has contributed to this movie’s success. It put Estonia on the global map of filmmaking and that’s significant, surely a boost for Estonian film. Also, when it comes to getting international funding for film schools, then lobbying under the Oscar nomination flag adds a great deal of weight to any financial backer. A lot of things have to be played correctly to align – fundraising, awareness, bringing talent to Estonia and raising our own. In general, you can’t make things grow – you can only create the correct conditions for things to grow on their own. So the Oscars are like a watering can that can only help “Tangerines” grow, and with it the Estonian film schooling and industry. So the nomination can make filmmakers motivated to bring their business here? We have to mention the two biggest music and film events in Estonia – PÖFF and the Tallinn Music Week – which actively bring international film and music professionals to Estonia. They provide a natural vessel to also bring these people’s contacts and projects to Estonia too. 100,000 visitors between the two of them include a significant number of music and filmmakers. To further these types of events will only encourage the industry players, especially when there are proven projects like “Tangerines” – one of the winners of PÖFF 2014. What would you suggest to a person who feels a professional kinship with you on how to go about finding the right path, to keep on it, and prevail? What mantras have helped you? Stay with something throughout its duration, don’t jump ship. Work from the ground up – one doesn’t start building a house from its roof. Getting ones “foot through the door” is an understandable aim, but the thing is at some point you also have to deliver the goods. Yes, many would like to get to a high and creative standard of projects, but if at that point you can’t deliver, then that’s game over anyway. So, worry about the foot later, because once you have what it takes, and the stars align you will have paved the road that can go a long way. The article was originally published in Estonian, in the Sirp culture paper on 27 Feb 2015. Cover: Michael Pärt (photo by Renee Altrov). « “Work hard, then comes love”– really?